MADU, THE Dublin-based band, fronted by Irish-Malaysian siblings Salim and Aminah Dastan, will launch their new album in Galway this weekend. MADU will launch From the Elders’ Yard with a show in De Burgo’s on Sunday, which has been organised by Sean Agus Nua. The album was recorded in Kuala Lumpur and Dublin and features Liam Ó Maonlaí, Daniel Rostrup, and Simon Wall. 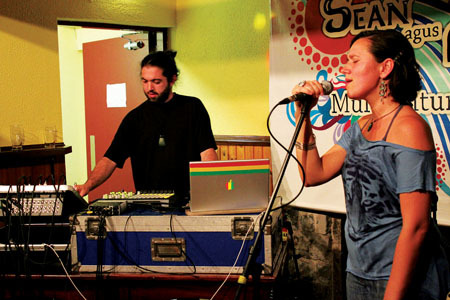 The duos songs steer away from typical dub soul or reggae arrangements to create a psychedelic roots music. On the night they will be joined by DJ and music culture specialist T-Woc and Bob and Zoltan on sax and trombone.